We promise not to share your email address with anyone! 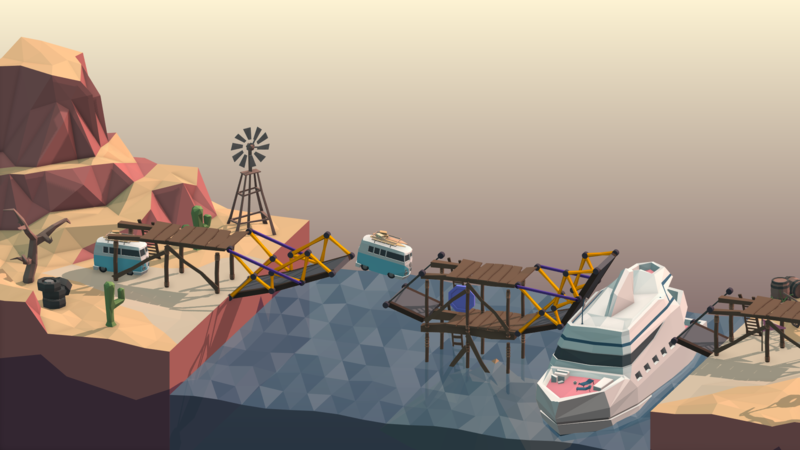 What would an awesome bridge-builder game be without an equally awesome Sandbox? 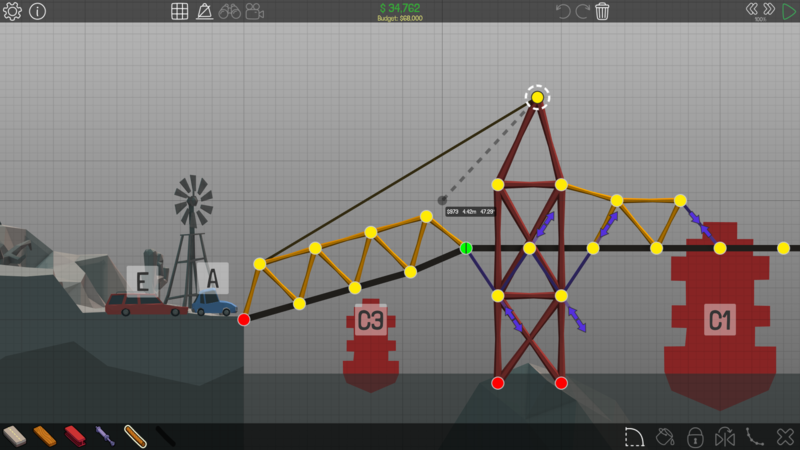 Go wild and create the most complex bridge the world has ever seen, or just an absurd creation that pushes the mechanics of the game in a new direction, and if you're feeling like it publish your design online as a puzzle level on the Workshop for everyone to try and solve! 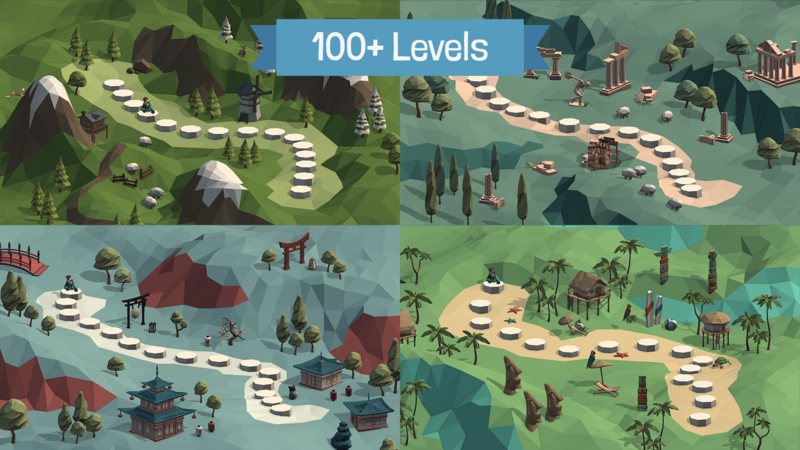 Download hundreds of extra levels from the Workshop! 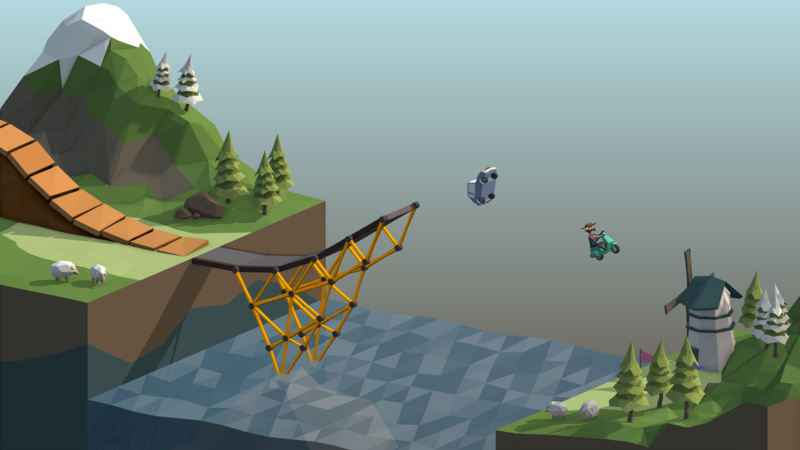 We'll also be featuring the most original and fun bridge designs that are submitted, making it easier for you to find the ones that are worth the challenge. 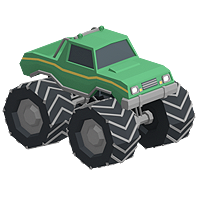 Players can share Fails and Wins at any point with a single click! 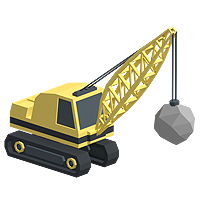 The manual is accessible from the main-menu or build view of the game (Options/Guide), you can also find the online version here. Can I monetise my 'Lets Play' videos? 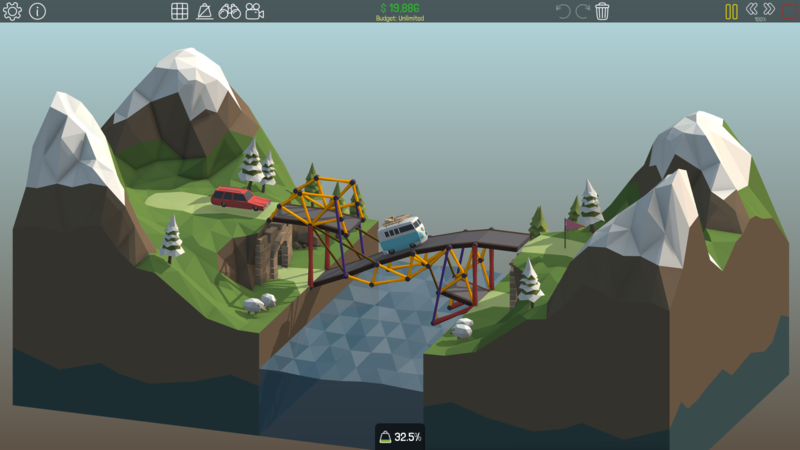 We love seeing what our players are doing with Poly Bridge. Credits - We ask that you include links to our Steam Store page ( http://store.steampowered.com/app/367450 ) and website, and credit be given to our composer Adrian Talens when his music is featured in the video. 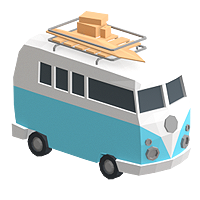 Non-Commercial Use – Use of Poly Bridge content in videos must be for non-commercial use. This means you cannot charge users to view or access your Poly Bridge related videos. You also can’t sell or license any Poly Bridge videos to others for payment of any kind. Monetizing ads – You may run ads or other revenue generating streams via the YouTube Partner Program or similar programs on other video sharing sites that don’t interfere with a user’s access to the video. Sponsorships – You may display a sponsor’s logo at the beginning of the video, in the credits or as a shout out during the video. Please keep sponsor mentions to a reasonable, minimal length and make it clear (either by mentioning a sponsor or a “sponsored by” with their logo) that they are acting as a sponsor only. Poly Bridge and Dry Cactus logos - Do not use the Poly Bridge and Dry Cactus logos without express written consent from Dry Cactus. Respect other creators - Other than Poly Bridge content, please don’t include content that’s not your original creation unless you have permission from the creator. Press member? Youtuber? 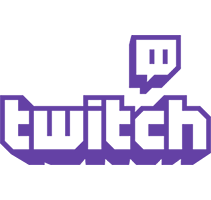 Twitch streamer? Please provide your credentials when requesting a press copy! © 2016 Dry Cactus. All rights reserved.